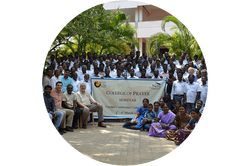 There are many ways to be involved in the College of Prayer. From attending a local campus to joining us on an international trip, there is a place for you. If you have not already attended a module of a College of Prayer campus near you, we highly encourage you to start there. 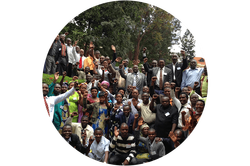 Get to know what we're about and join a movement of God that is transforming lives around the globe. Find a campus. If you have already been attending a campus or involved in other College of Prayer events, you might be ready to join one of our leaders on an international trip. Check out upcoming opportunities. Others might be interested in talking with a Regional Director about launching a new campus. Discover what's involved and get in touch with us and we will be happy to talk with you about next steps. There are hundreds of campuses around the world where you will receive biblical teaching, be led to a fresh encounter with Christ and experience God-encountering worship. 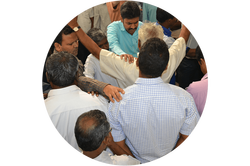 Join an army of intercessors who are praying for our ministry around the world, but more importantly, who are praying for revival among the nations. Lord, give us the nations! Join our team as we lead Campus Modules, Advanced Leadership Trainings and Regional Summits around the world. Be part of transforming a nation. 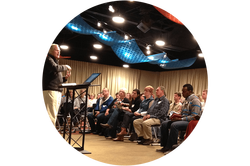 Are you interested in bringing the College of Prayer to your area? Find out what's involved and get in touch with a leader in your region to talk about next steps. Discover what's happening in your area.